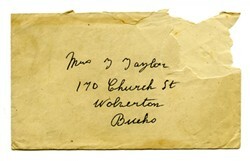 You are here: Home>Archive>Taylor Brown Collection.>Miscellaneous documents and objects.>Letter to Lou from her Mother. Letter to Lou from her Mother. 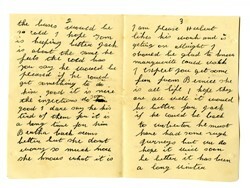 Letter addressed to Lou from her mother dated 13.3.46. 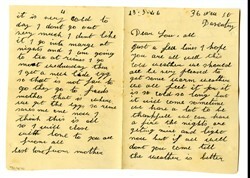 This letter tells of the cold weather but how it is getting lighter. It also says how she is pleased that Hue likes his work and how she hears about Marguerite and Bernice.